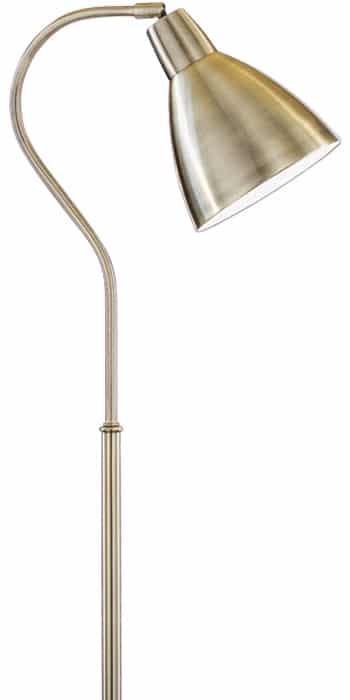 This Libra traditional antique brass finish floor reading lamp features a circular base and shepherds crook stem, with adjustable directional head. Ideal as a reading or task light, double insulated, no earth required and fitted with a convenient foot operated switch. A classic design in traditional style. The long stem sits on a circular base, with a cone shaped antique brass finish shade. The head is fully adjustable, providing a practical source of light for any corner of your home.